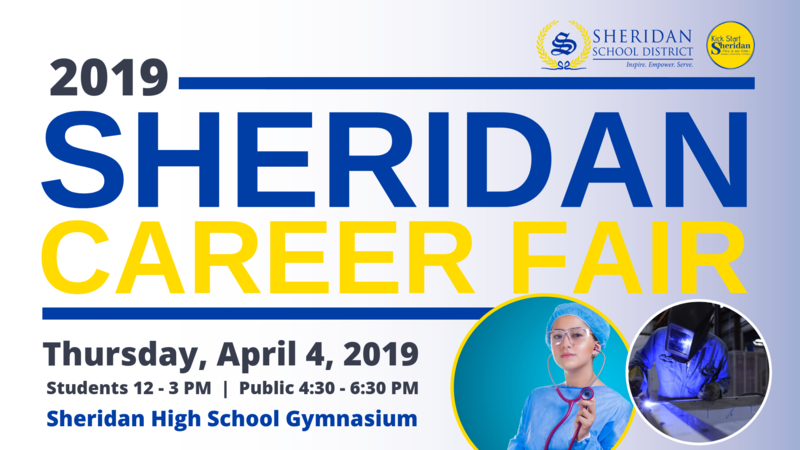 The Sheridan School District is excited to partner with Kick Start Sheridan to host the 2019 Sheridan Career Fair on April 4. The event will be open to Sheridan High School students during the day and OPEN TO THE PUBLIC from 4:30 - 6:30 PM. Job Seekers will have the opportunity to network with various employers with current job vacancies in Sheridan and surrounding areas; talk to recruiters from community colleges, trade schools, military branches, and employment agencies; and get assistance with job seeking skills, résumé writing, and interview preparation. We are going to have a great Career Fair! Check out this list of employers/organizations that will be there!